UPDATED: From transmission pipelines to desalination plants, the Texas Water Development Board approved funding on Thursday for dozens of water supply projects from Marfa to Houston, including a handful to promote conservation. The Texas Water Development Board has approved nearly $4 billion in financing for dozens of projects to increase water supplies across the state, and a handful to promote conservation. But even environmental groups are praising the board for embracing every conservation project that sought state help, which they hope will inspire even more local water utilities to dip into a new pool of state money for water-related projects. From transmission pipelines to desalination plants, the board on Thursday approved financing for 32 water-related projects, doling out $1 billion within the next year and another $2.9 billion over the next decade. Cities as small as Marfa and as large as Houston are on the list, and several of the 21 entities that applied are slated to receive help with multiple projects. The financing, mostly low-interest loans, is expected to be finalized by the end of the year. 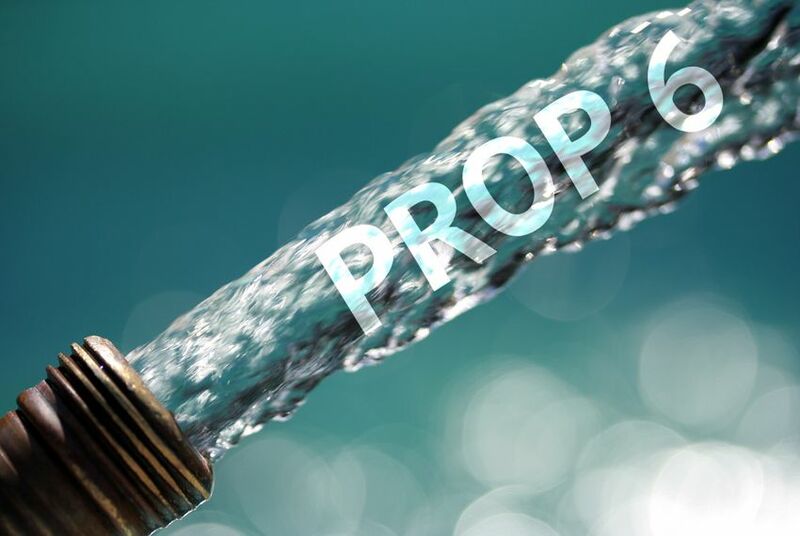 The plans will be the first round of many that receive money from the revolving water fund Texas voters overwhelmingly approved in 2013 with the passage of Proposition 6 — when half the state was in drought. Awards probably will be made annually, according to water board staff. Bech Bruun, the newly appointed board chairman, said the initial wave of projects is “a big step” toward leveraging the $2 billion the board received through Proposition 6 into $27 billion of financing over the next 50 years to implement the state water plan, a blueprint that spans half a century. While the total estimated price tag of the most recent water plan exceeds $50 billion, a figure some believe is inflated, only about half of that needs to come in the form of state financial assistance, Bruun explained. The water board has lent money to local governments for water projects since it was created in the 1950s, but the so-called State Water Implementation Fund for Texas (SWIFT) is the first dedicated solely to implementing the water plan, often described previously as a mere wish list. Every entity that applied for SWIFT assistance this round won the endorsement of water board staff, thanks in part to a slew of applications that were withdrawn. A larger share of entities that applied also requested longer-term financing, resulting in lower demand on the fund. A board vote marks the culmination of a months-long process that required the agency to rank water plan projects for the first time using criteria it spent more than a year developing — a process that raised questions about who might get preferential treatment and how the water board might handle conflicting proposals. For applicants, winning the backing of water board staff was far from certain, said Todd Votteler, an executive manager at the Guadalupe-Blanco River Authority, which is pursuing a seawater desalination plant. "What impressed me is how quickly the water development board was able to get this done," he said, noting his authority's project ranks "near the bottom of the priority list" but will take much longer to develop than others. Environmental groups were concerned about how the water board would end up ranking conservation projects. By law, the board must try to spend 20 percent of Prop. 6 money over five years on plans for conservation or reuse. The agency falls short of that threshold in the first round of projects up for consideration Thursday. But environmental groups note that water board staff approved all three conservation projects that sought assistance. "The emphasis still needs to be encouraging utilities to include conservation water projects in their long-range planning, but this is a great start," said Laura Huffman, state director of the Nature Conservancy. Bruun said he expects the number of conservation projects under consideration to increase with the adoption of the next state water plan in 2017, noting the agency plans to push for that. The plan is updated every five years. With strong advocacy from the board and environmental groups, there’s plenty of time to get conservation projects into the next water plan, said Ken Kramer, water resources chairman for the Lone Star Chapter of the Sierra Club. He also said questions remain about how much funding will pour from the SWIFT faucet as time goes on, depending on how the fund is managed and replenished. “We’re still in an initial phase, and it’s going to take a while to figure out whether this is going to truly work the way it was intended, but these initial steps I think seem to be pretty positive,” he said. Disclosure: The Nature Conservancy of Texas is a corporate sponsor of The Texas Tribune. The Sierra Club was a corporate sponsor in 2011. A complete list of Tribune donors and sponsors can be viewed here.